Well, Easter Sunday is over… if like me, you ate a bit of chocolate, contouring is the way forward today! I normally contour every day quickly as I think it really helps to slim and define my face. When I do contour I use a Real Techniques contour brush and brush some under my cheekbones (I do a fish sucking in face…) and apply a little bit along my jaw line and up round my temples. If you imagine your contouring in a 3 shape on both sides of your face. 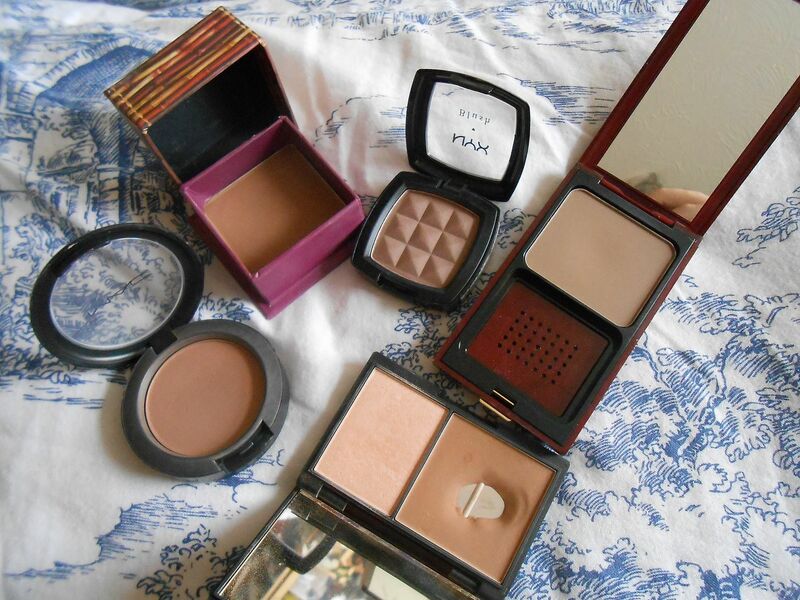 My quest for model-esque, chiseled cheekbones has led to me trying several different products. Powders are my favourite, as all cream products seem to be warm toned, and you really want to mimic a shadow when contouring. The less red the better! 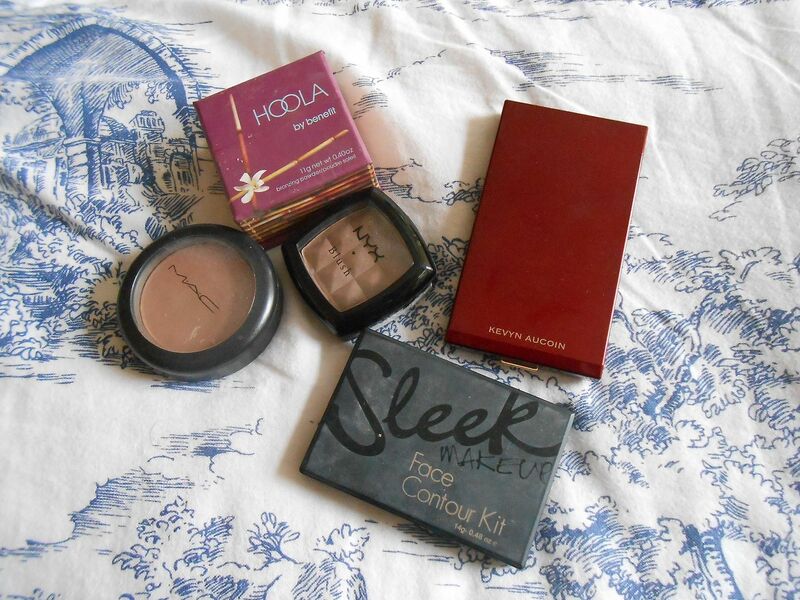 My first dabble was the Sleek contour kit. A neat & cheap little product, it has a matte powder and a shimmery highlighter in one, which makes it easy for travelling. This is a really nice product, and the powder is blendable. 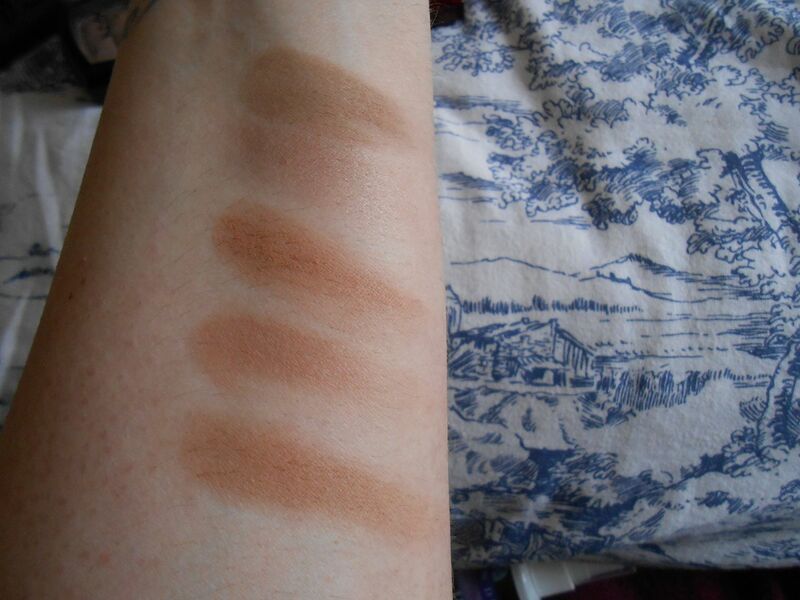 However the shade is a bit too orange on lighter skin tones, and can easily look a little muddy. MAC Harmony is really good at faking the natural skin shades, because it has some pink which makes it look more like skin. It’s not too orange, and the shade is easily buildable which is awesome for pale skin. Benefit Hoola is a fairly similar colour to the sleek kit, but the powder is more finely milled which makes it easier to blend. If anything, it’s slightly redder. This is marketed as a bronzer, and I think it’s better dusted all over the face where the sun would naturally hit. NYX Taupe is the cheapest of the bunch, and my second favourite. The cool toned shade is perfect for pale skin, and it’s also not especially pigmented and so it is almost impossible to be heavy-handed with this one! This is almost fool-proof, and I definitely recommend it. Lastly we have my personal favourite, the Kevyn Aucoin sculpting powder in Medium. This is the most expensive, but also the best in my opinion. Kevyn Aucoin was a master at changing people’s faces, and this powder is incredible for quickly adding definition. The powder is so soft and so pigmented. I’ve used this a lot since I got it last September, and it looks like I’ve barely touched it. Do you contour? What do you use?